Leupold is one of the most recognized rifle scope manufacturers around, and they owe a significant part of their success to their oldest product lines: held in high regard by many of old-school pros, these rifle scopes have withstood the test of time in terms of performance and reliability. However, times change, and with them, the requirements of marksmen and hunters. Unlike most other manufacturers though, Leupold deals with this dilemma by refurbishing and upgrading its classics to remain thoroughly relevant to today’s firearm industry. 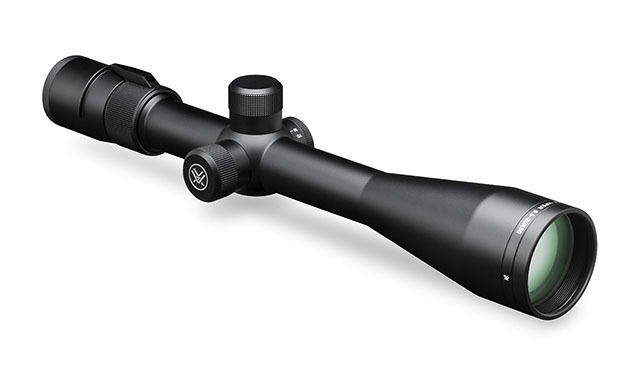 Their VX-2 line of riflescopes is a testament to this: I’m doing a Leupold VX-2 3-9x40mm review to introduce you to the reincarnation of an American legend, bolstered to match the demands of modern day tactical shooters, while also staying faithful to its original user base. Leupold has employed advanced optic technology, quality design practices, diverse reticle options, simple and intuitive controls, and their famous lifetime warranty, to breathe fresh life into their venerable VX-2 line. 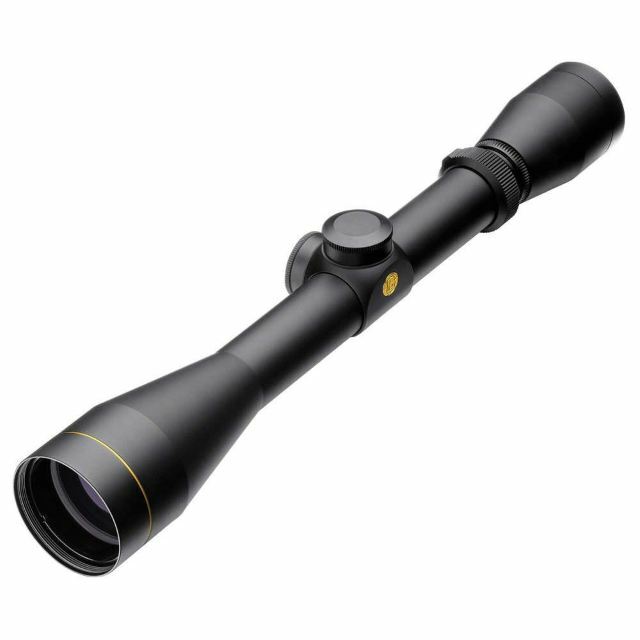 With this particular model, the 3-9x zoom and 40mm objective lens diameter make it suitable for medium range shooting and big game hunting applications. Like all other products from the manufacturer, the scope excels in both performance and robustness; for a scope at this price. Up to 94% light transmission guaranteed by premium optic features. Diverse choice of reticles and color finishes. Spacious eyebox and generous eye relief. 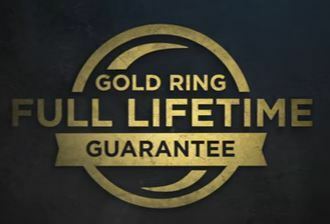 Leupold Gold Ring Full Lifetime Guarantee. Not suitable for dedicated long range, tactical shooters. 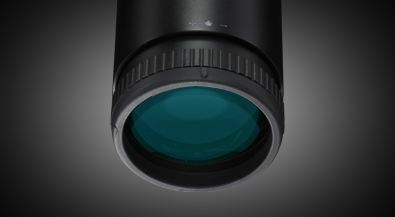 Leupold has used an Index Matched Lens System for this scope: their engineers utilize specific coating materials based on the lenses’ refractive index, function and placement to optimize. The resulting lenses offer up to 94% light transmission so you get a bright, crisp image even in low light scenarios.The contrast and resolution is further enhanced by the lenses’ blackened edges that minimize diffusion and glare. The classic duplex, pioneered by the manufacturer several decades ago, is intended for old fashioned big game hunters. This reticle comes with scope variants having gloss, matte and silver finishes. The wide duplex provides the same functionality as the standard duplex but with a bit more viewing space; it achieves this by reducing the height of the thicker posts leading into the thin crosshairs. This reticle comes with a matte finish scope. The LR duplex adds a tactical touch to the vanilla design, by including holdover points for 300, 400 and 500 yards in addition to the 200 yard central aiming point, to enable you to shoot accurately further afield. The LR reticle is available with the matte finish variant. This exclusive style, also available with the matte finish variant, has a prominent floating dot at its center, with the crosshair thinning out as it converges on it. This makes the central dot much easier to locate, particularly in low light conditions. 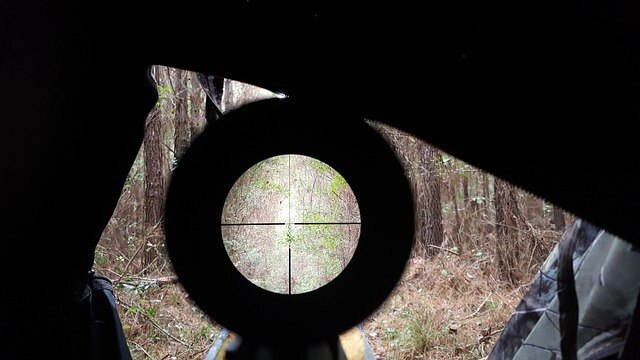 If you favor traditional European reticles, the German #4 a bold option that is easily distinguishable against dull, muddled backgrounds, making it ﻿a ﻿﻿good choice for hunting small game﻿. 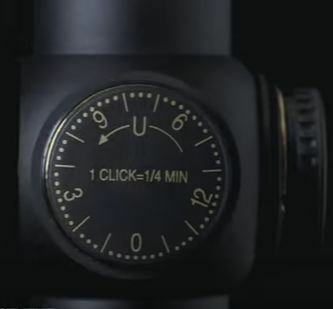 The reticle is calibrated according to the metric system, and is another option exclusively available with the matte finish version of the scope. With the VX-2 3-9x40mm version, I would recommend that you use a duplex version: it provides excellent aiming facility at all magnification settings for most hunting calibers. Also available is a Custom Dial System (CDS) supported version that is built around a specific caliber bullet, as specified by you – this will of course, be a comparatively expensive option. The fast focus eyepiece lets you focus the reticle without any hassle, regardless of external operating conditions. The eyepiece also provides a healthy amount of eye relief (minimally 3.7’’) so you can safely use the VX-2 with recoil heavy weapon/ammo combinations. Even when you’ve set the scope to a higher zoom setting, the eyebox, in combination with the larger eye relief, ensures plenty of headroom as well as a fuller picture, so you can set up the perfect long range shot. Still, you should know that the 3-9x40mm isn’t the best choice for long range hunting / shooting: you may want to look at the 4-12x50mm variant for that. The scope is based around a 1’’ main tube made out of 6061-T6 aircraft grade aluminum for optimum structural strength and minimal weight. The outer lenses have been treated with Leupold’s DiamondCoat to protect them from abrasive damage. As far as water- and fog-proofing is concerned, the manufacturer decided to one-up the usual nitrogen filling procedure (which they pioneered back in the ‘40s) by incorporating a second generation Argon/Krypton gas blend instead. Besides eliminating thermal shock related issues almost completely, the larger molecules present in this gas mix take a much longer time to diffuse out. The VX-2 allows for ¼ MOA finger click adjustments without the use of additional tools: the clicks are tactile and audible, so you’ll have no trouble fine tuning your shots in the field. The turrets are covered by screw-on aluminum caps. The scope allows for 52 MOAs of both windage and elevation adjustment. This riflescope is also covered by the manufacturer’s industry leading warranty policy: as per this policy, the manufacturer will repair / replace damaged / defective scopes free of charge for their customers, without asking for a warranty card or proof of ownership. Their reputation for quality notwithstanding, if (and this is a big if considering the glowing reviews from existing users) you do end up with a broken VX-2, you can be confident that you’ll get a prompt replacement. As discussed above, this scope isn’t the best option for long-range, tactical applications, even when you opt for the LR Duplex reticle version. If you’re willing to spend more cash (as you should be if your primary focus is long range, strategic encounters with minimal room for error), you may want to consider Vortex’s Viper 6.5-20x50 PA Mil Dot Reticle rifle scope. The scope has a wider 30mm single piece main tube made from aircraft grade aluminum for an exceptionally sturdy yet lightweight build, and the capped reset turrets allow for quick field adjustments to elevation and windage, as well as rapid zero resetting. The Mil Dot reticle allows for easy and swift estimation of range, holdover and windage settings. When combined with its crystal clear optics and extended magnification range, this makes the scope an extremely useful (albeit considerably more expensive) sighting tool for the tactical marksman. The latest upgrades to its features include the use of color corrected, high resolution lenses for optimum visuals; 2nd generation argon/krypton waterproofing and DiamondCoat external lens coating for enhanced durability; and several different reticle options suited to different shooting applications; all these make it one of the most diverse mid-range rifle scopes around, perfectly suited for the needs of today’s hunters and shooters: regardless of whether they favor old-school hunting, or newer, more tactical approaches. You can find the product here, alongside reviews from customers who have purchased it already.